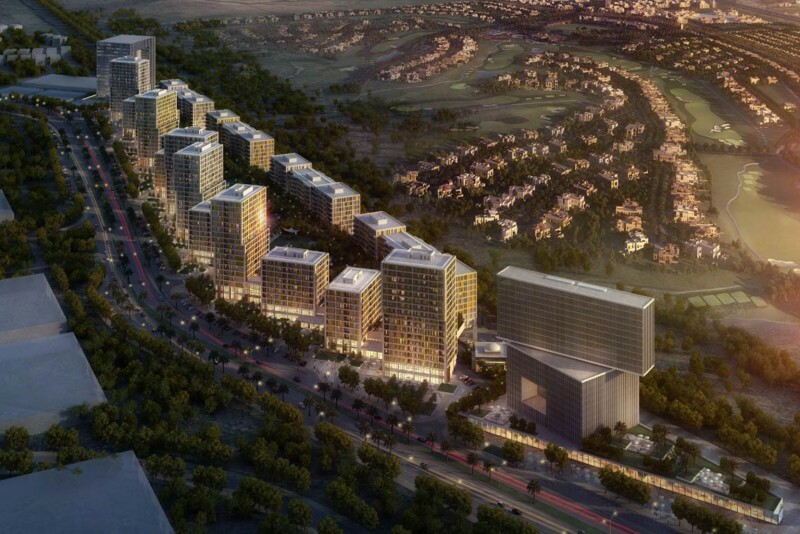 The Lakes is part of the Emirates Living Community, a collection of residential developments that also includes Emirates Hills, The Views, The Parklands, The Meadows, The Springs and The Greens. Situated inland from Palm Jumeirah and to the south of Sheikh Zayed Road, The Lakes lies between two of Dubai’s great golf courses, the Emirates Golf Club and The Montgomerie at Emirates Hills. The properties here are detached villas and townhouses set in landscaped common areas with parks, lakes, water features, children’s play areas, swimming pools and BBQ areas. There are 600 homes in The Lakes’ six established communities - Deema, Forat, Ghadeer, Hattan, Maeen and Zulal. There are villas and townhouses in sizes ranging from three to five bedrooms, and 12 different floor plans, each with private garden and covered car parking ports or garages. As well as landscaped common areas and a community park, each neighbourhood has its own park, and some have tennis courts and swimming pools as well. Residents also have access to The Lakes Club, a community centre with a swimming pool, gymnasium, aerobic studio, volleyball, squash and tennis courts, a convenience store, restaurant facilities and a day care centre. Originally The Lakes was to have been a rental community, but owing to its popularity the houses are now available for sale. One-click links to properties currently on the market in The Lakes. Its pleasant surroundings and convenient location are what attracts people here; not too far from the city life, yet away from the noise and traffic. With established trees and parklands, and expansive lakes and waterways, the place is green and peaceful. A series of connected walkways links the six communities to a community centre, a grocery shop, health club, restaurant, cafes and a nursery school. House hunting golfers will surely want to shortlist The Lakes with its choice of two world-class courses on the doorstep, one of which, The Emirates Golf Course, hosts the prestigious Dubai Desert Classic tournament each February. The Lakes lies 3km inland from Dubai Marina and 4km from Palm Jumeirah. It is located off Interchange 5 on Sheikh Zayed Road (E11), and is not far from Al Khail Road leading to Mohammed Bin Zayed Road (E311). The drive to Dubai Marina and bustling Jumeirah beach with its shops, restaurants and cafes is just 10 minutes. The Mall of The Emirates is a 15 minute drive and Dubai Airport about 35 minutes. We currently maintain records for 7 sub-communities in The Lakes. The Lakes reveives an overall rating of 4.5 based on 5 reviews. Users were asked to consider many factors including the view, finishing, layout, noise levels, traffic, public transportation, parking, security, swimming pool, gym, and maintennance. A great gated community for families. Location is absolutely central to almost all of new Dubai. The Location is amazing, close to everything ! New flyover came up at the end of the garden, like a racetrack !